Plenty capable off-road or in bad weather. 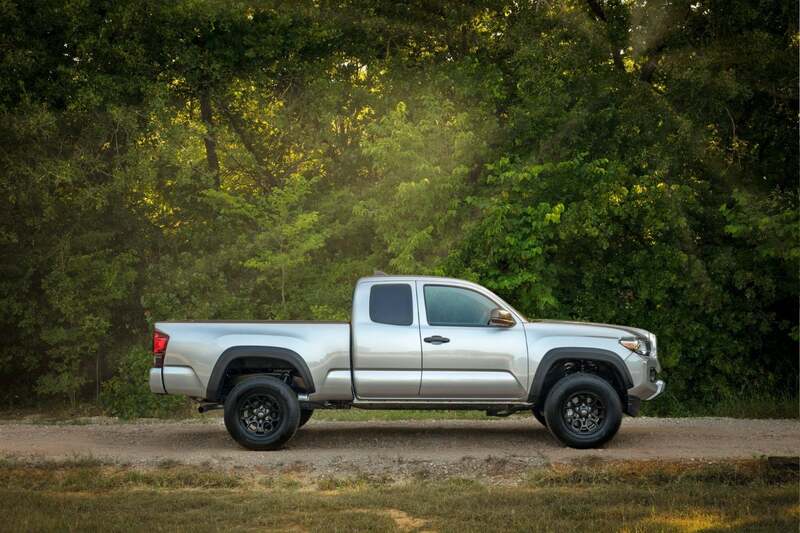 Perfect truck for those weekend getaways. 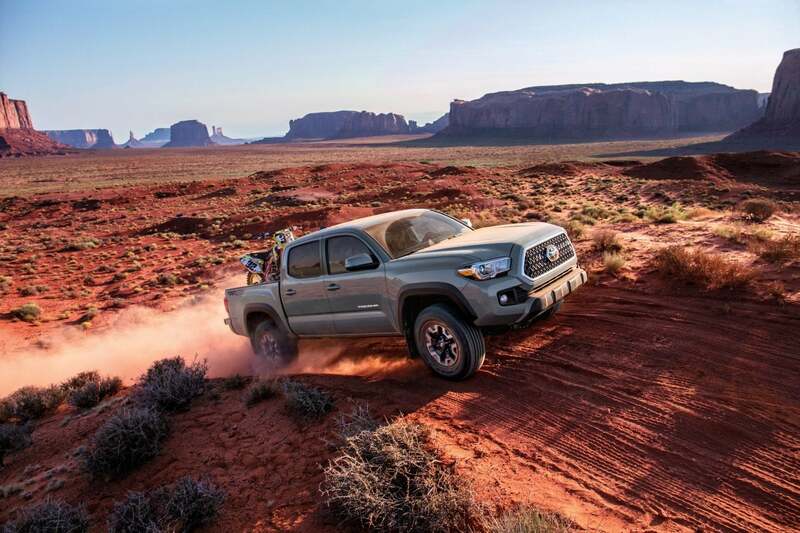 For those wanting to get off the beaten path and away from civilization, the 2019 Toyota Tacoma TRD Pro is a truck for extreme adventures. 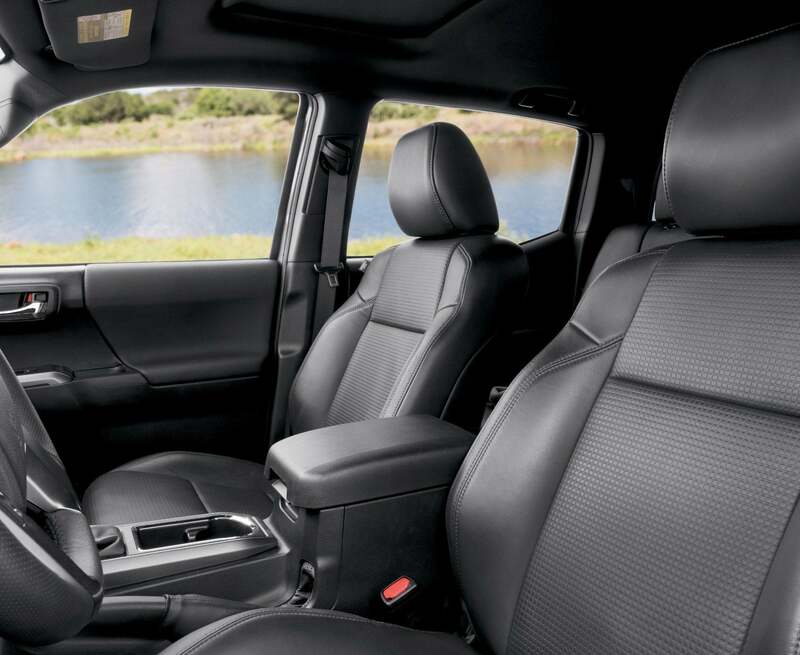 Get the Double Cab and you can take all your friends, and have room for extra gear on the excursion. 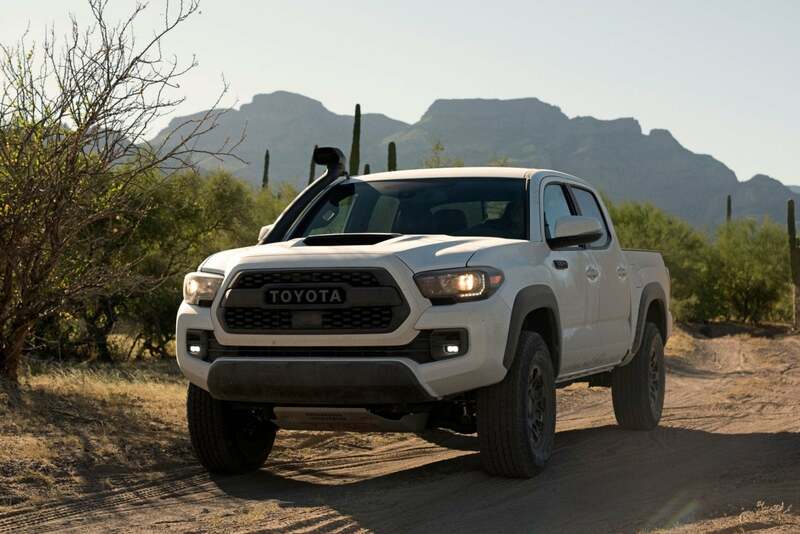 If you need to cross a river (or two), read on to see how this Tacoma will get you deep into the wilderness. 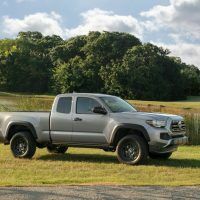 This week, we’ve been driving the 2019 Toyota Tacoma TRD Pro 4×4 Double Cab. 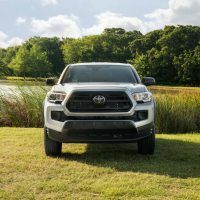 The Toyota Tacoma gets an updated TRD Pro trim with more off-road-ready equipment and an available high-mounted “snorkel” air intake. All trims now have two additional USB charge ports. 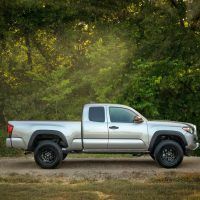 The 2019 Toyota Tacoma TRD Pro 4×4 Double Cab ($45,365) has a five-foot bed with a 400-watt power outlet, a full rear seat, and turn signals in the mirror housings. 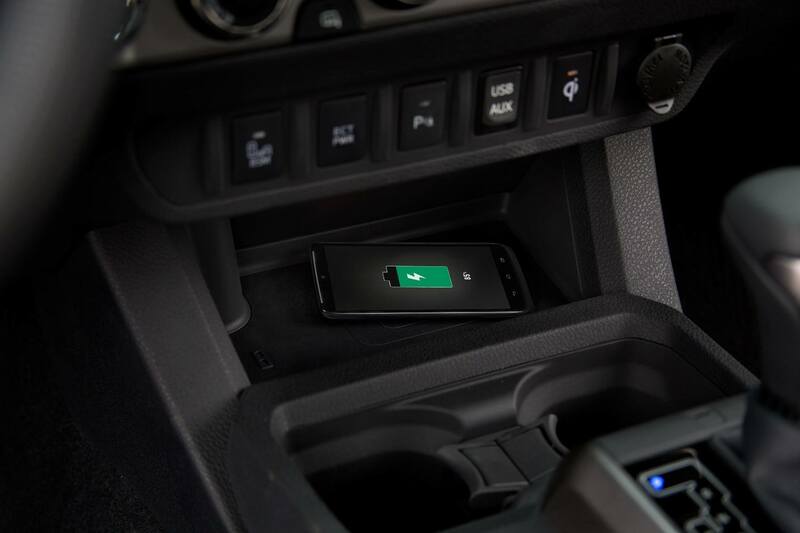 Automatic transmission-equipped trucks gain smart entry, push-button start, and navigation via the Entune premium audio system’s seven-inch touchscreen. 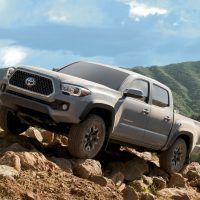 The off-road performance upgrades set this trim apart: knobby all-terrain tires on 16-inch alloy wheels, the deletion of the front air dam, extra skid plates, a lockable rear differential, and an advanced off-road traction control system with multiple terrain settings and crawl control. 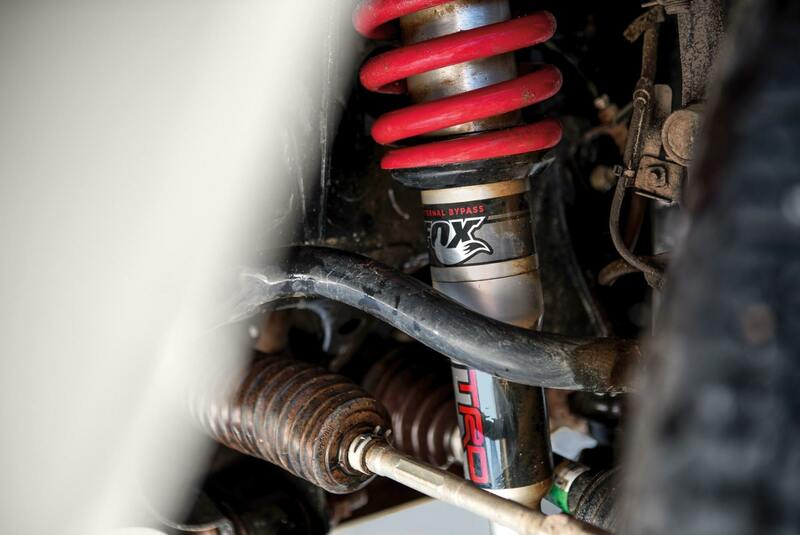 The TRD Pro also includes a Fox Off-Road Suspension with front coilovers and remote reservoir rear shock absorbers. 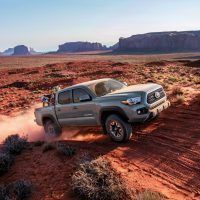 The TRD Pro benefits from a one-inch suspension lift, larger anti-sway bar, a 1/4-inch aluminum front skid plate, and the aforementioned 16-inch wheels that offer an inch wider track. 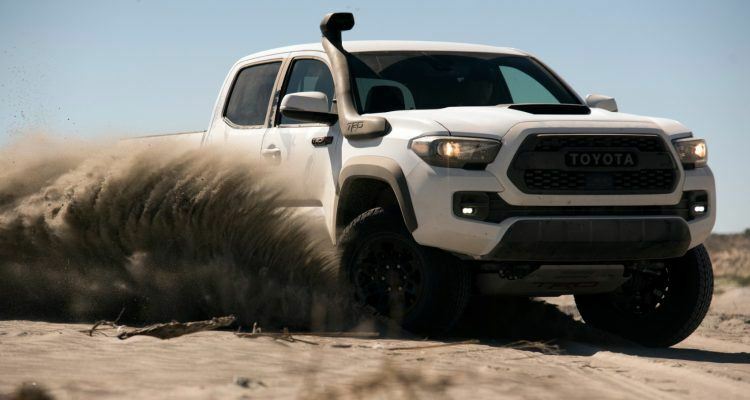 The unique hood with a (non-functioning) scoop, “eye-black” decal, and TRD cat-back exhaust were also included. 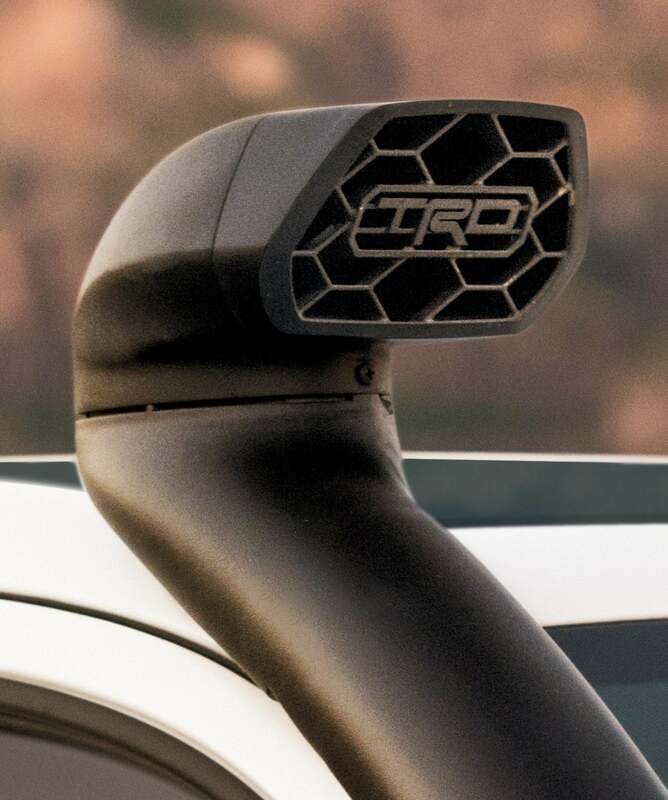 TRD-themed trim elements include the grille, headlight and taillight bezels, badging, shift knob, and floor mats. 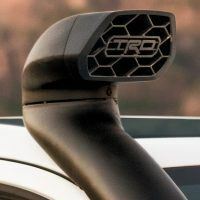 Our tester even came with the Desert Air Intake ($725). 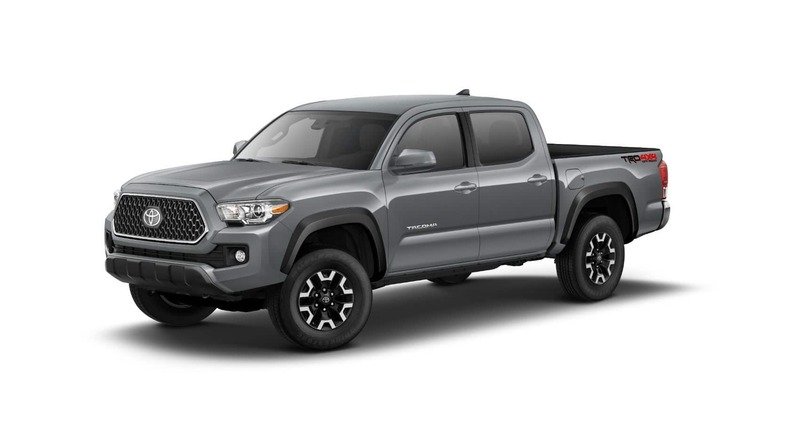 Total MSRP including destination: $47,383. 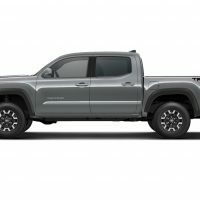 By comparison, the 2019 Toyota Tacoma starts at $25,700 (4×2 Access Cab). 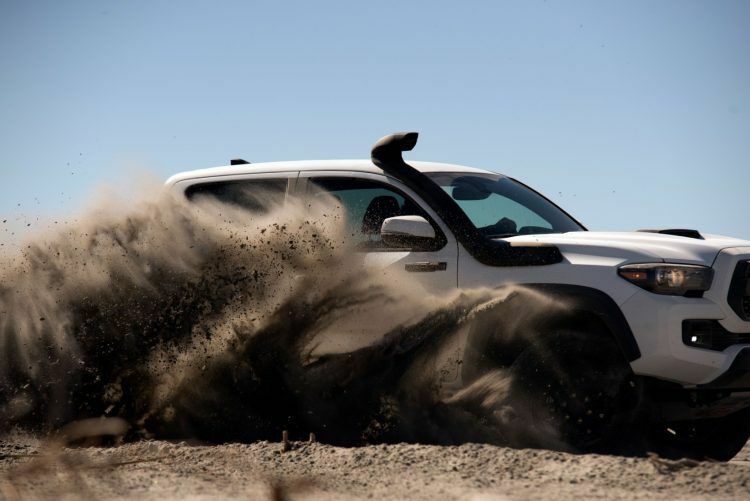 The optional Desert Air Intake system, a snorkel-like device that runs up the passenger side pillar, allows the engine to take air (likely to be less dusty and dirty) from above the windshield. 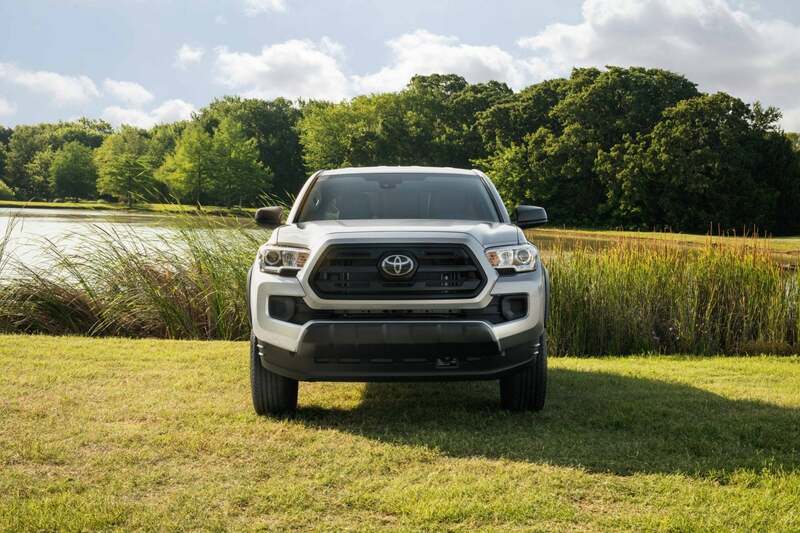 The Tacoma’s cabin is comfortable enough for longer trips to the back country, and with the heated seats, dual-zone climate control, and premium JBL audio, it’s an enjoyable place to spend time. Although, with the high floor and low roof, you need to watch your head getting into the cab. It can feel a bit cramped for taller drivers. Our tester came with an attractive, all-black interior and lots of soft-touch materials throughout. 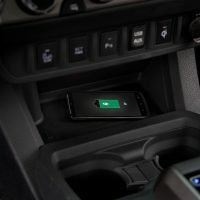 It featured plenty of storage plus a convenient cell phone charging pad in front of the gear shifter. 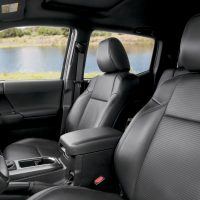 The front seats could use more adjustment capabilities as they offered minimal support, but the tilt/telescoping steering wheel makes it easier to find the right driving position. 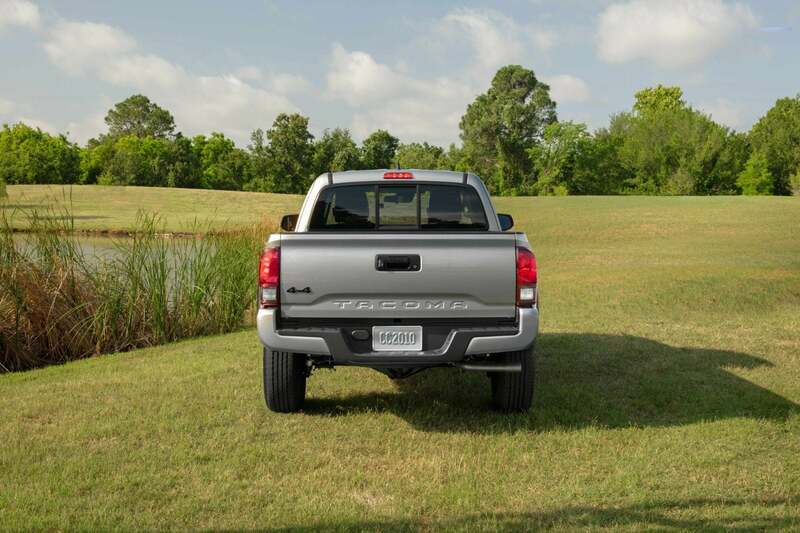 The backup camera made things simple, especially with the longer cab as we navigated around. 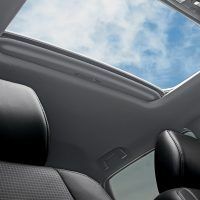 This model features a full-size rear seat (split 70/30) and flips up to reveal convenient under seat storage for valuables. 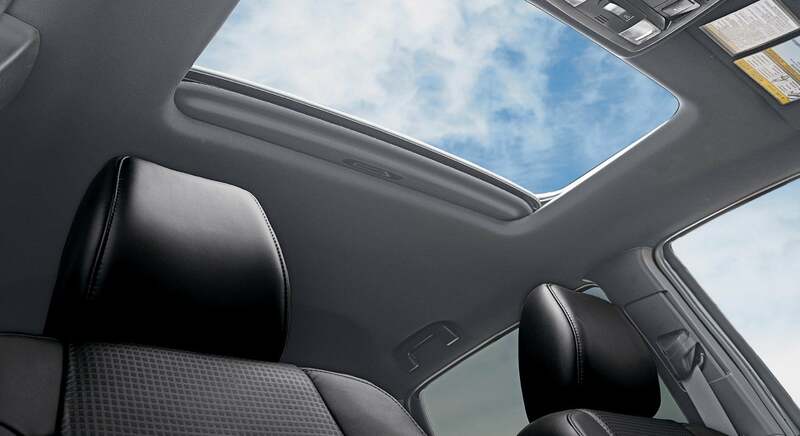 The rear seat offers adequate room for two adults but would be cramped with three. 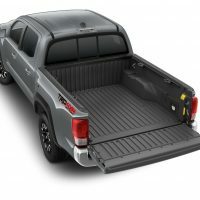 2019 Toyota Tacoma interior layout. 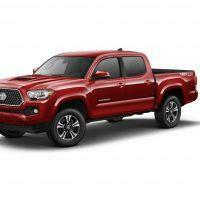 The Tacoma TRD Pro is powered by a 3.5-liter V6 with direct injection, making 278 horsepower and 265 lb-ft. of torque. Our tester came mated to a six-speed automatic with a 3.909 final drive ratio. 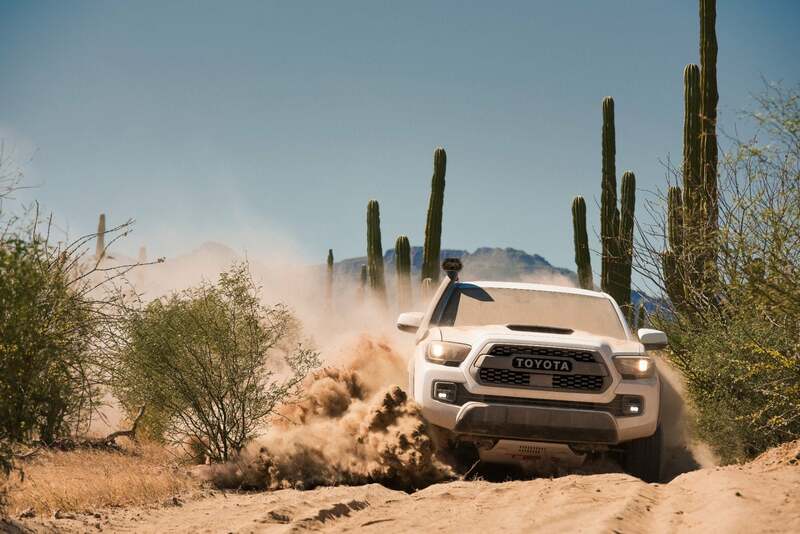 Additional off-road capability comes via a 4WDemand Partime 4×4 system with a two-speed transmission. 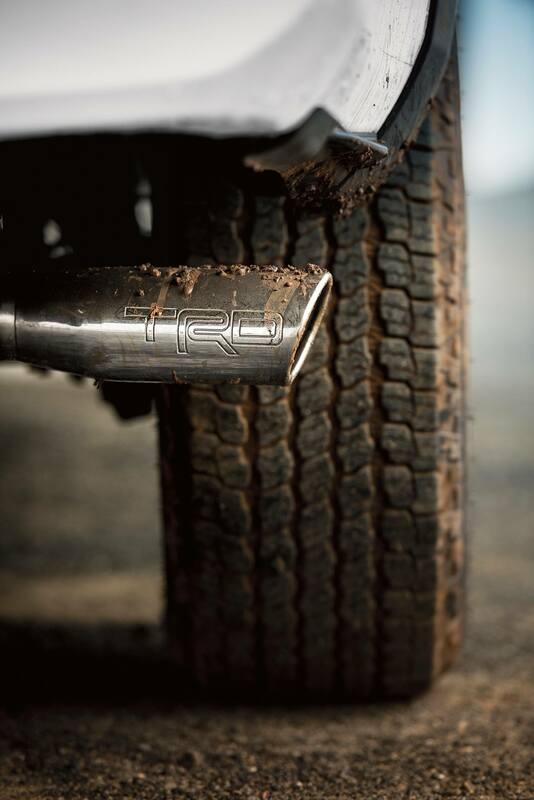 TRD Pro models include a locking rear differential for extra traction. 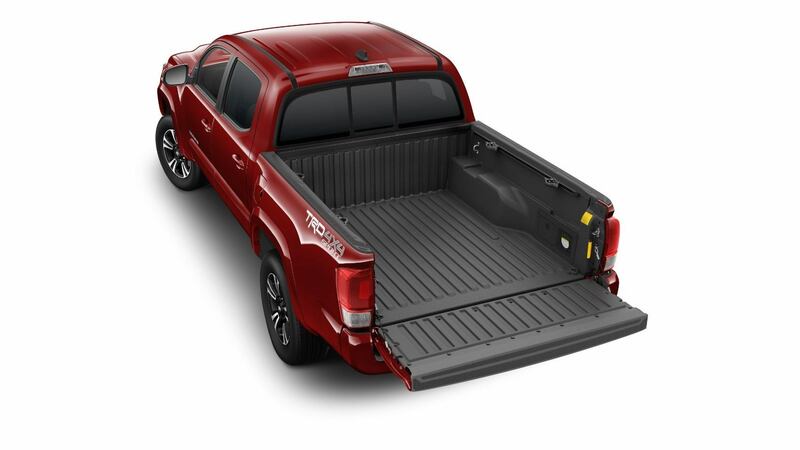 With the V6 Tow Prep Package, the 2019 Toyota Tacoma can tow a maximum of 6,400 lbs. 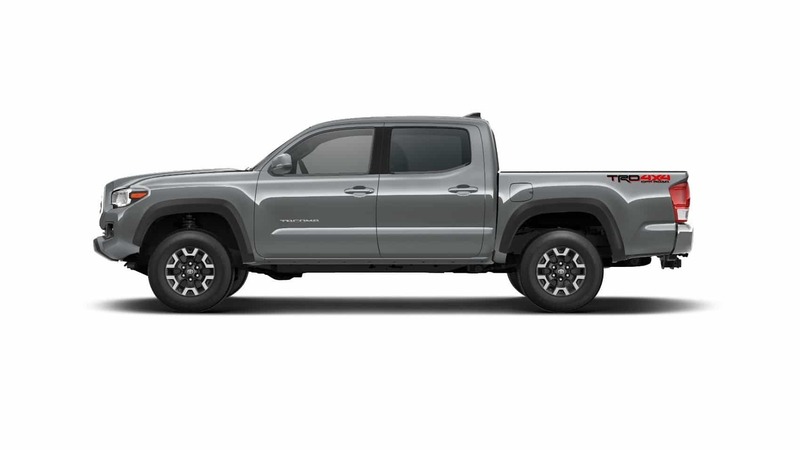 EPA-estimated fuel economy for the 3.5-liter V6 is 18/22 city/highway and 20 combined mpg for a 4X4 with the automatic transmission. 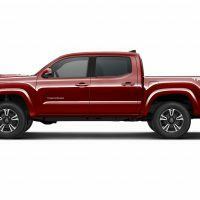 The 2019 Toyota Tacoma comes standard with a 2.7-liter in-line four-cylinder (159 horsepower and 180 lb-ft. of torque). However, it’s hard to justify this engine in terms of fuel economy versus the larger, more powerful V6. 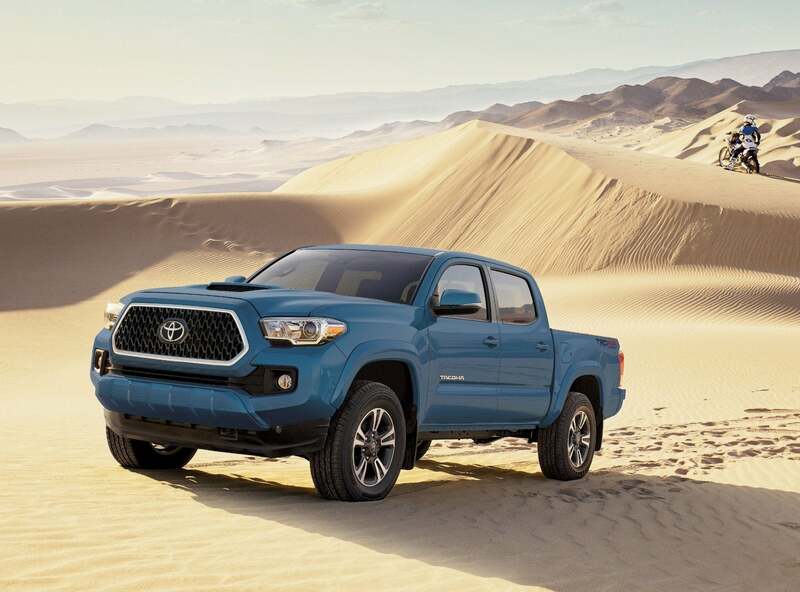 In a 4×4 configuration, the 2.7-liter returns an EPA-estimated 19/22 city/highway and 20 combined mpg. 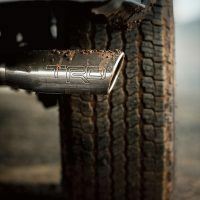 We drove the new TRD Pro on an ideal trail just west of Denver near Morrison. 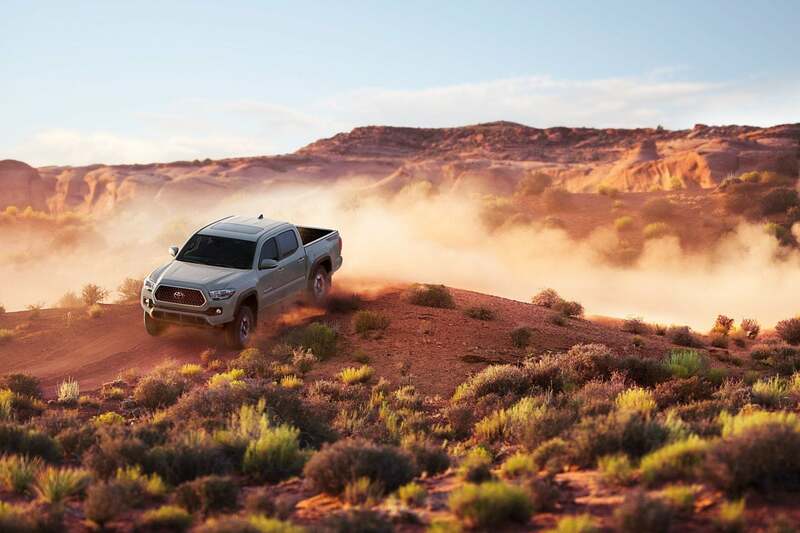 It was a good place to test the Tacoma’s true capability. The road turns from pavement to dirt, then a trail appears. And that’s when our afternoon fun started! The Fox Off-Road Suspension handled the rough road with ease as we navigated up the mountain trail. The road turns uphill and a short, steep climb required us to slip into low range. A turn of the range-select knob on the dash to “4Lo” quickly puts the truck into low range, and an indicator lights up for confirmation. 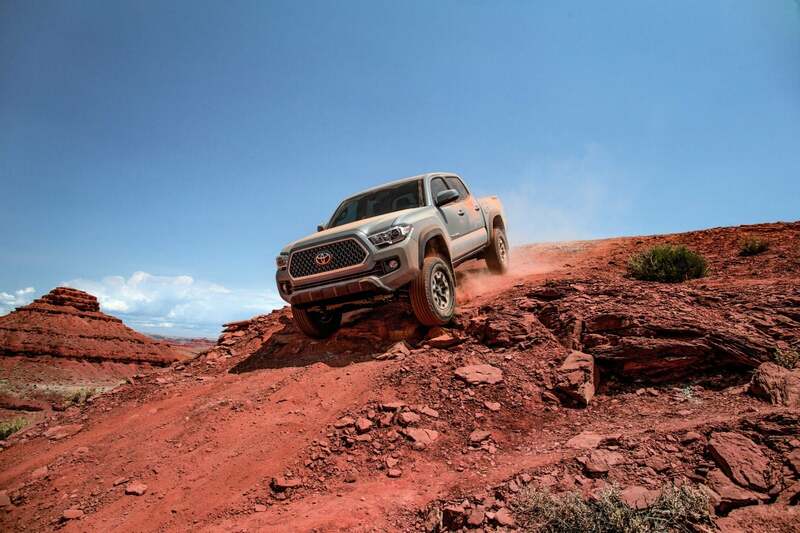 As the Tacoma TRD Pro crawled up the steep hill, we steered it to the top without issue. We did it again going down with the same steady and effortless results. 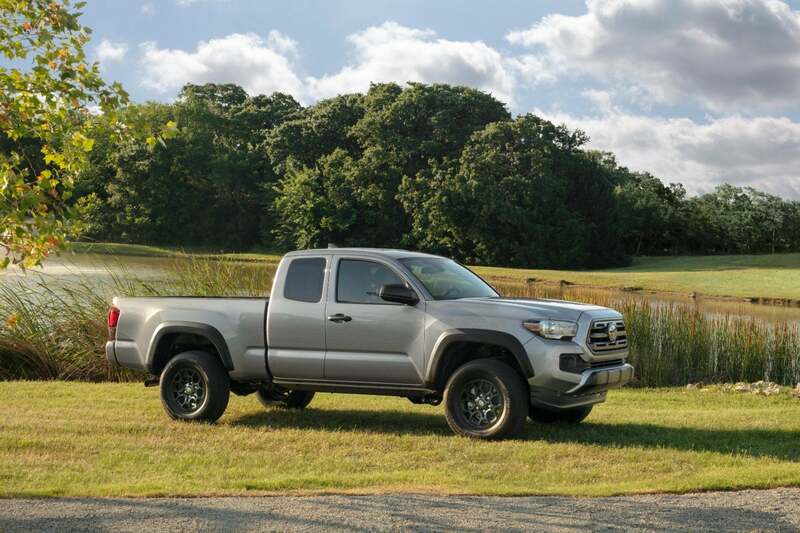 For those looking for a true off-road pickup, the Tacoma TRD Pro is an ideal candidate. 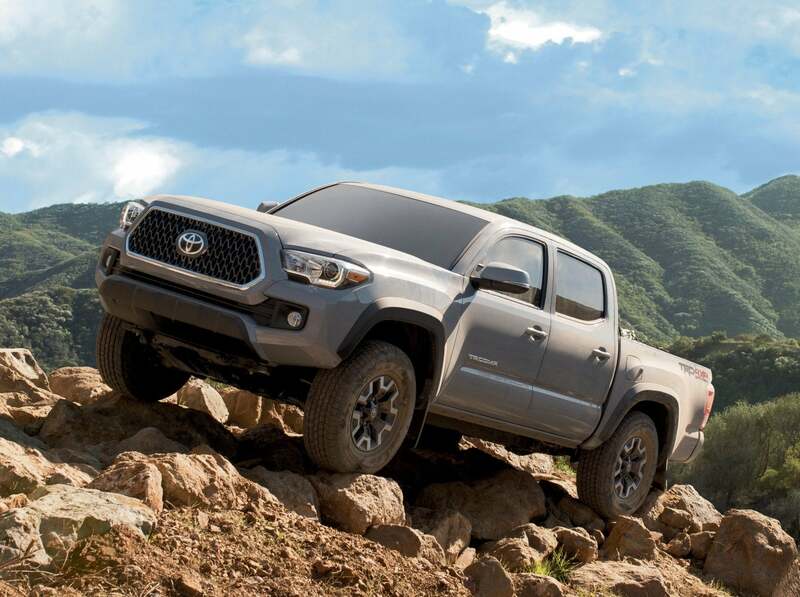 It excels on primitive trails and rough terrain. But how does it handle on the highway and in the city? 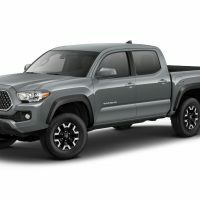 We were able to drive the TRD Pro in the “Bomb Cyclone” storm that hit Colorado. We pushed through two feet of wet, heavy snow and the truck never missed a beat. There were plenty of unplowed roads around, but this 2019 Tacoma escorted us safely to our destination. 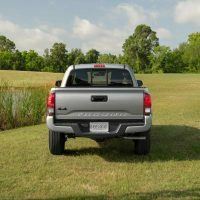 Finally, the optional Blind Spot Monitor and Rear Cross Traffic Alert are must-haves with this longer Double Cab pickup. They saved us a number of times from getting hit when we couldn’t see traffic and obstacles around us. 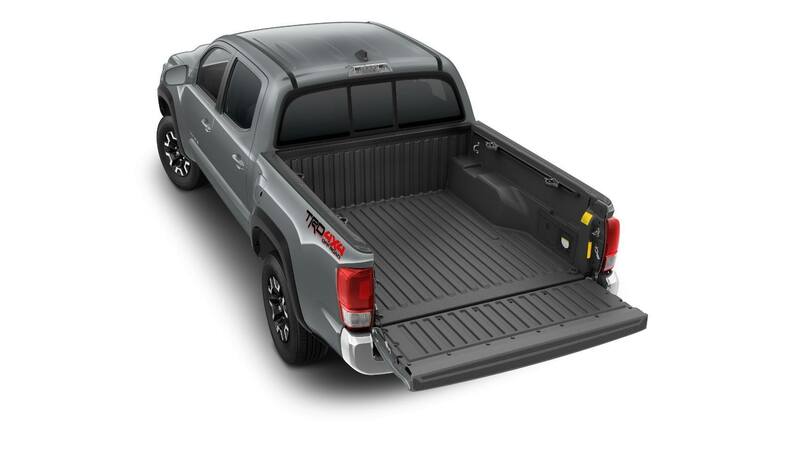 Given this Tacoma is longer, the parking sensors are a must as well. Conclusion: Ready For The Weekend! 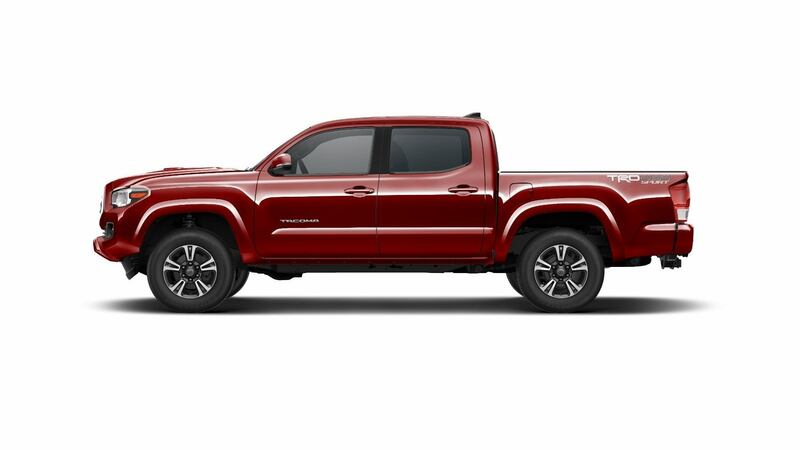 The 2019 Toyota Tacoma TRD Pro is ideal for adventure enthusiasts who want to get off the beaten path. 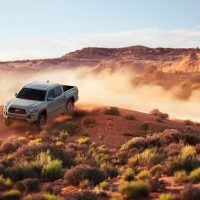 Toyota’s reputation for durability and strong resale value put it at the top of the list in the mid-size truck segment. 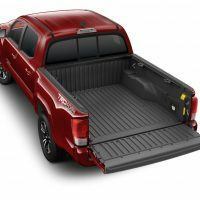 If you are transporting dirt bikes, four-wheelers, and snow machines; if you’re heading up the mountain to go skiing, or pulling a small camping trailer, this truck will meet your needs. 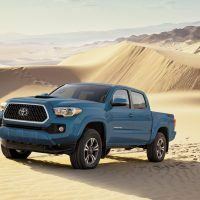 Photos: Toyota Motor Sales, U.S.A., Inc. (Additional Tacoma models shown). 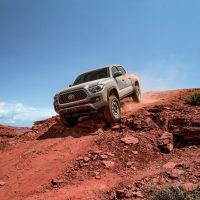 No Comments on "2019 Toyota Tacoma TRD Pro Review: Perfect For The Weekend Warrior"